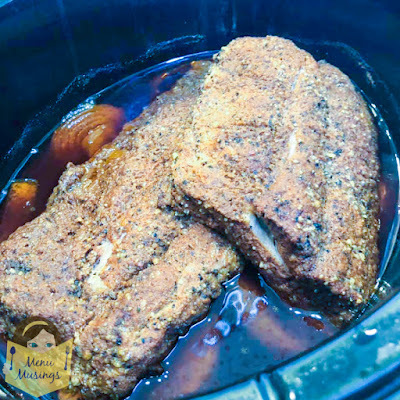 After making these a good half dozen times or so, and even going so far as to even giving my oldest child his own slowcooker to make his own (because he proclaimed these some of the best ribs he and his friends had ever had), I felt like it was probably high time to transcribe this recipe off of a sheet of paper full of "scribble scratch" into a honest-to-goodness typed up recipe that I could actually share when friends asked me for it. I have absolutely nothing against ribs on a smoker or a grill. But hey... it's smack dab in the middle of winter here, and I'd rather be snuggled inside than adding woodchips to the smoker or braving the elements. Total girlie statement there. Let's face it, though - there are several reasons why making ribs in a slowcooker totally rocks! Maybe you don't have a grill or smoker. Maybe you don't wish to go out and stand around in the snow or wind or whatEVA! Maybe you live in a small apartment and that's just not an option for you. Maybe you have one and you're just not quite "there yet" in your comfort level. 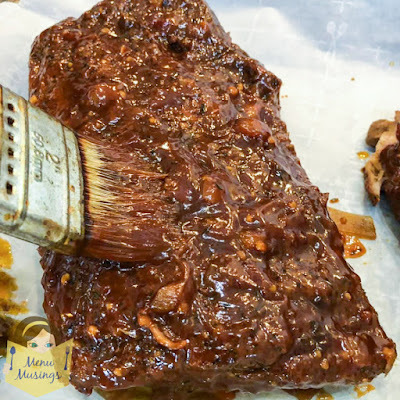 Perhaps you just want to be able to put these bad boys on in the morning before work and have them tender and ready for the barbeque sauce and oven when you walk in the door from work! (I'm raising my hand.) Whatever the reason, these are amazing. Ask my kiddos if you need witnesses. 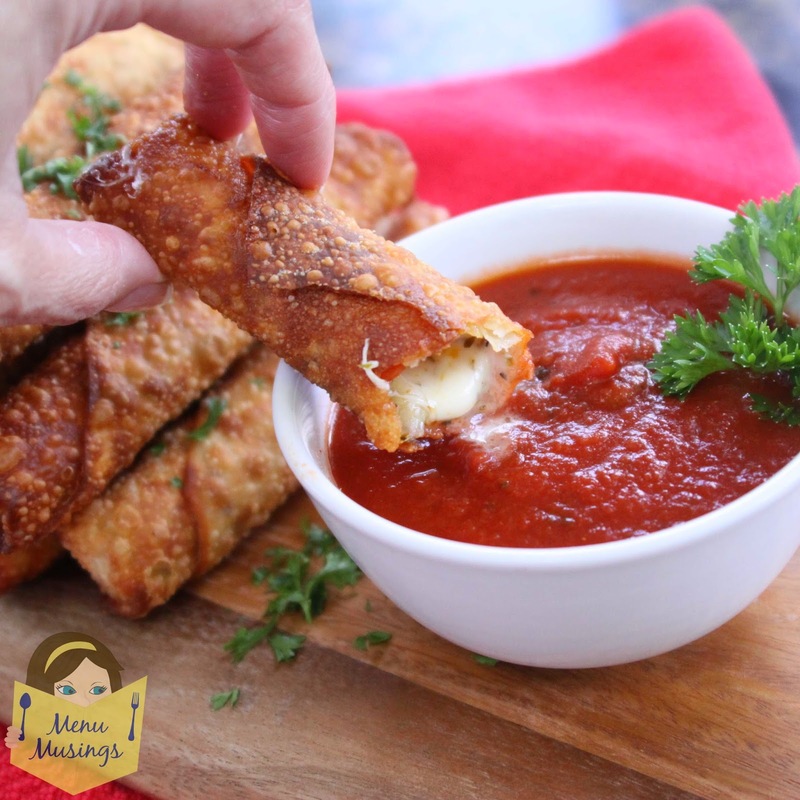 These come out so tender you will absolutely be astonished! I'll add in the tips as we go through the post. I make this up ahead of time and store it in an airtight container. That makes prep faster when I’m ready to season the ribs in the morning. I sometimes use it all on one rack, but it really is enough to accommodate two whole racks of ribs. 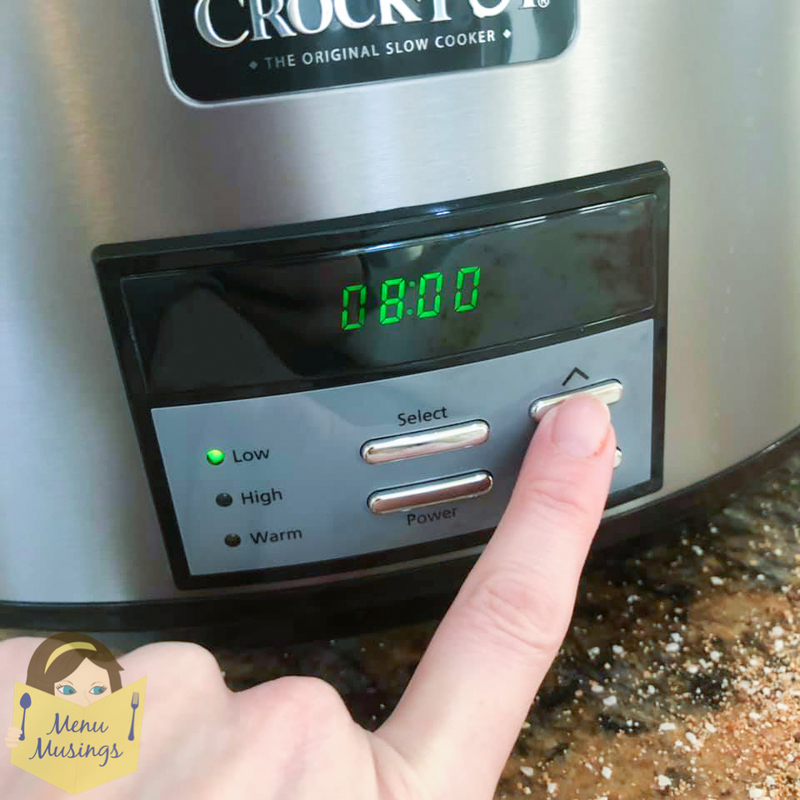 *Cook on simmer until desired consistency is reached. Slice the onions into thick slices and line the bottom of the crock pot. Don't skip this step! This keeps the meat out of the liquid and OH MY GOSH, these onions are AMAZING at the end of the day! 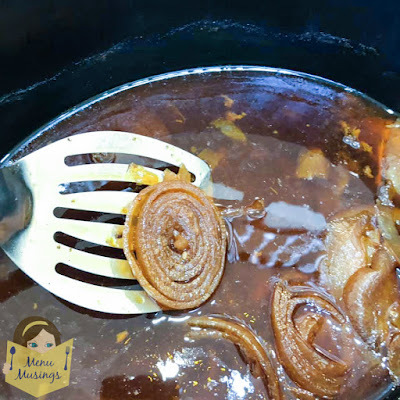 Add apple cider/apple juice to cover the onions. Then add a nice splash of Apple cider vinegar (ACV) to the apple juice for acidity. This brightens up and balances out the flavors. Okie dokie. Now this is the only technical part of the entire recipe. Pull the membrane off of the ribs. Yuck. Loosen the edge with a knife or something until you can grab it. Grab it with a paper towel and rip it off. A paper towel works much better than trying to grab it with your fingers. Trust me. When you are lucky, it will come off in a sheet. It will still look sort of white underneath, but you will know that you got it off when a thin, filmy sheet of skin stuff comes off. Cut your rack(s) in half. Otherwise they won't fit in the slowcooker. 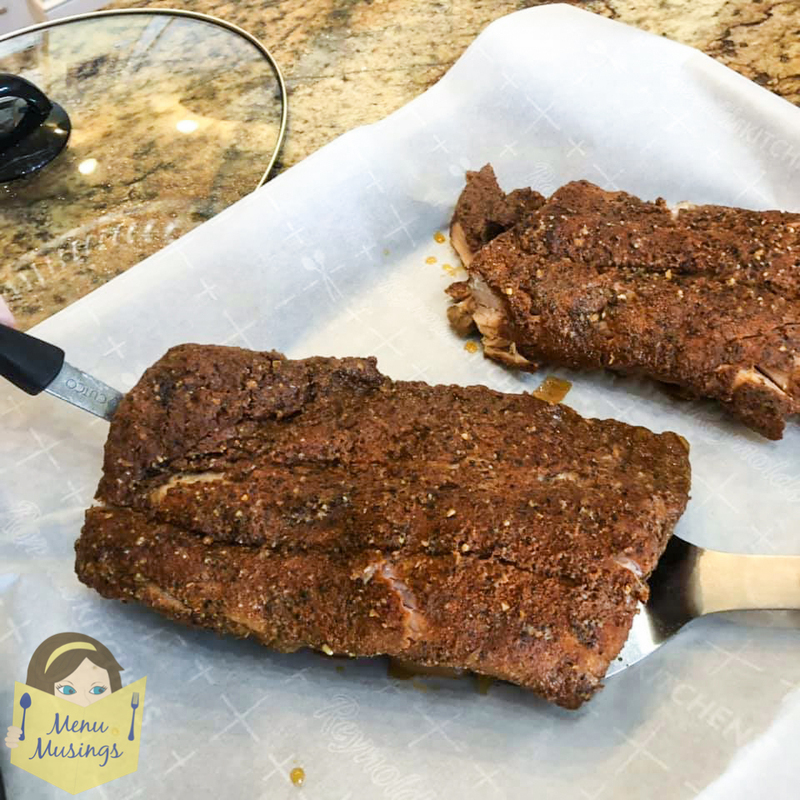 Spread that great rub all over the entire rack – top and bottom. 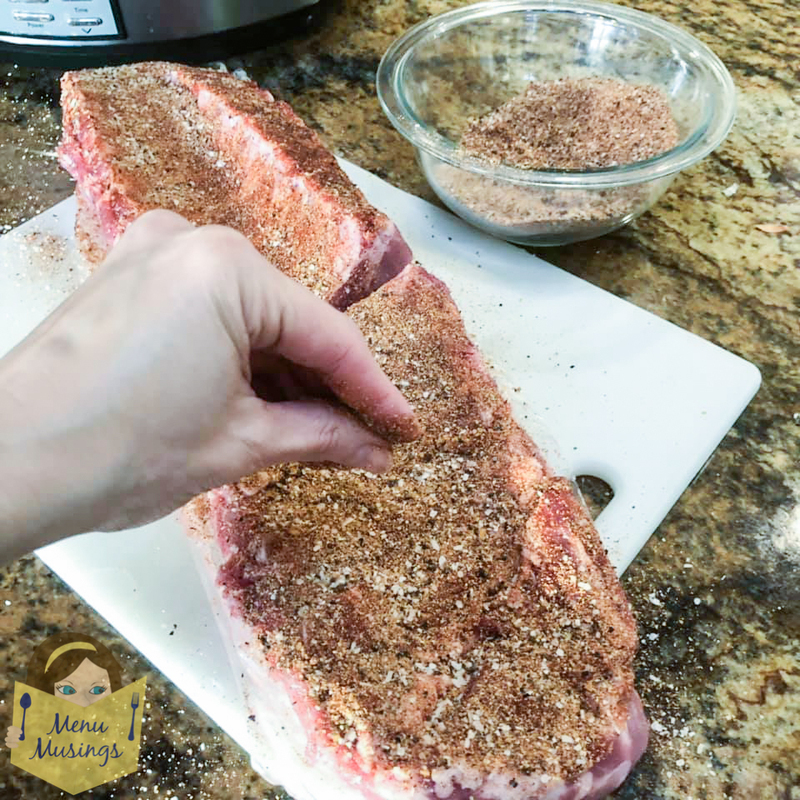 Make sure you massage the rub into the meat really nice on all sides. Add your seasoned ribs to the slowcooker on top of the onion slices. I have ... ahem... several slowcookers. The one I use for these ribs is an extra large size. It can probably accommodate two racks of ribs easily; however one is more than enough for our needs right now. Make sure you shut the lid tightly. I set my slowcooker on low for 8 hours. If you do not wish for them to be quite so tender and falling off the bone, check them for doneness earlier. I realize that everyone has different opinions on this. Make your BBQ sauce if you'd like. 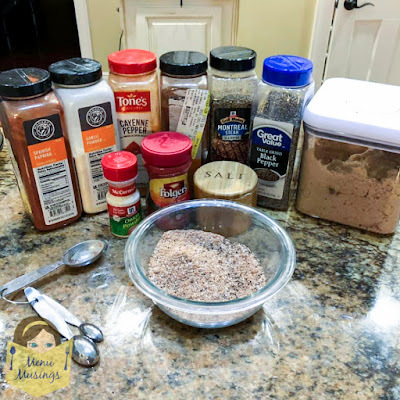 This can also be made ahead of time. Note - It freezes very well! 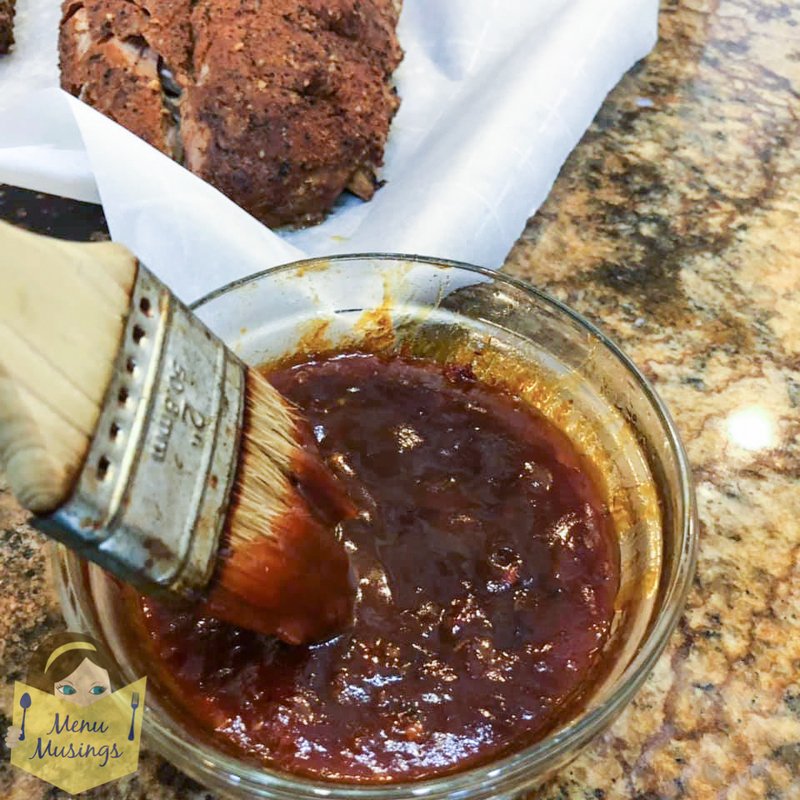 One batch of sauce lasts me about three meals of ribs. I freeze it in small portions (think muffin tin sizes, or snack baggies than can be stored flat). Carefully take the ribs out of the crock pot and set them out onto a foil or parchment lined baking sheet. You may need to use two spatulas (one on each side) to remove the ribs, as they will be SUPER tender at this point. 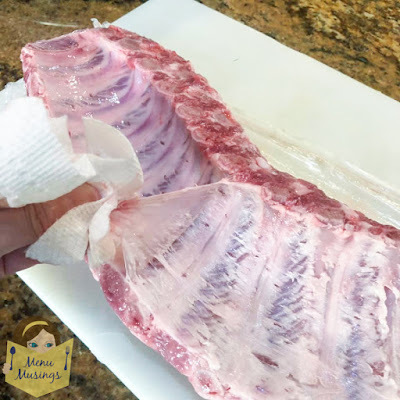 Allow yourself to have a little taste test if a small chunk of meat should happen to accidentally fall off during the transfer. Yes - FALL off. Literally. 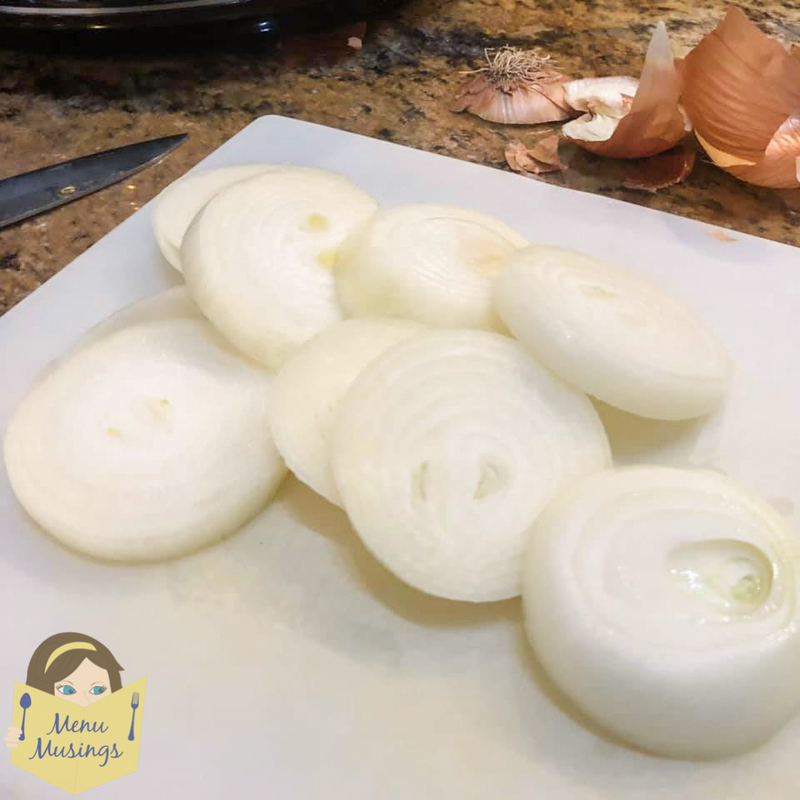 Find SOME kind of use for these AMAZING onions. Promise me you will taste these! Wowwww! 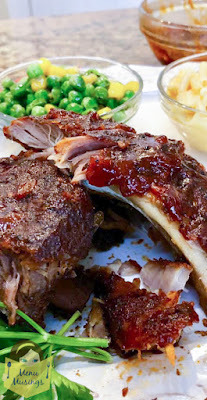 Slather as much BBQ sauce as you want onto the ribs. 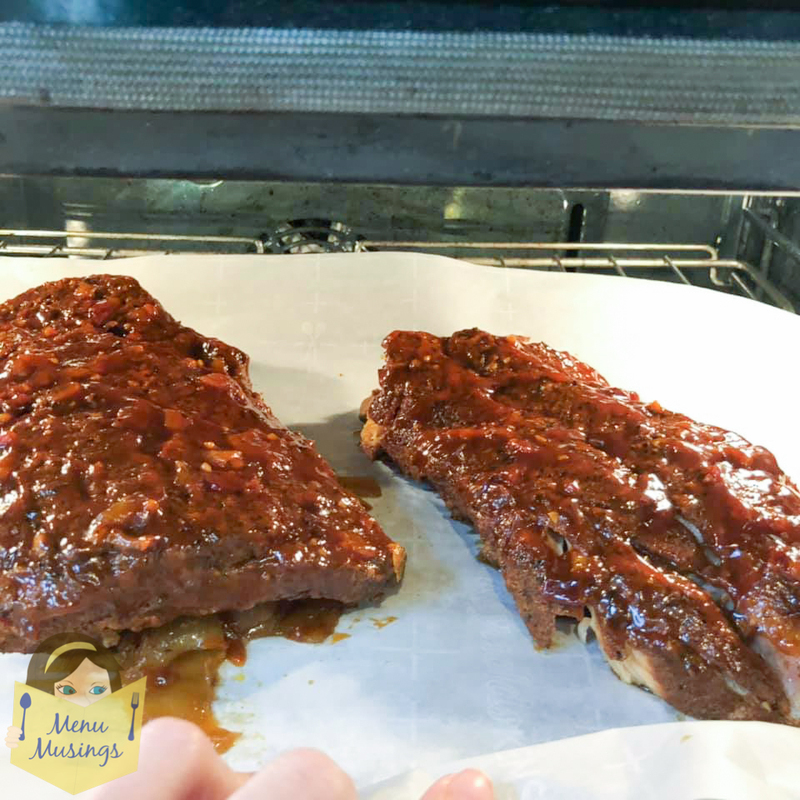 Pop them into the oven for up to 2 hours on 200F until a nice crusty bark has formed. Or turn the heat up to 400F and just leave them in a little while until bark has formed. It also works really great to put them on a cooling rack to put them in the oven. That way they get to develop a bark on both sides with a little better circulation. Gently cut apart into servings. Happy Hour PIzza Rolls - every kid in your house will love these..even the grown ones! 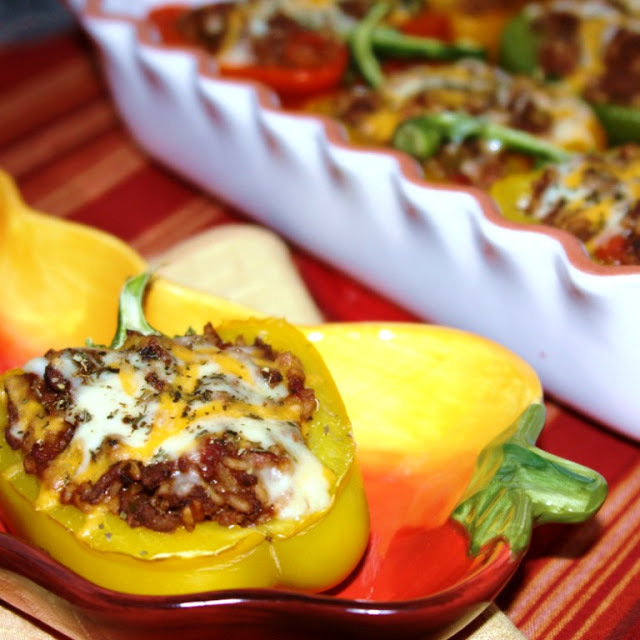 Stuffed Peppers - old school with lots of nutritious delicious! 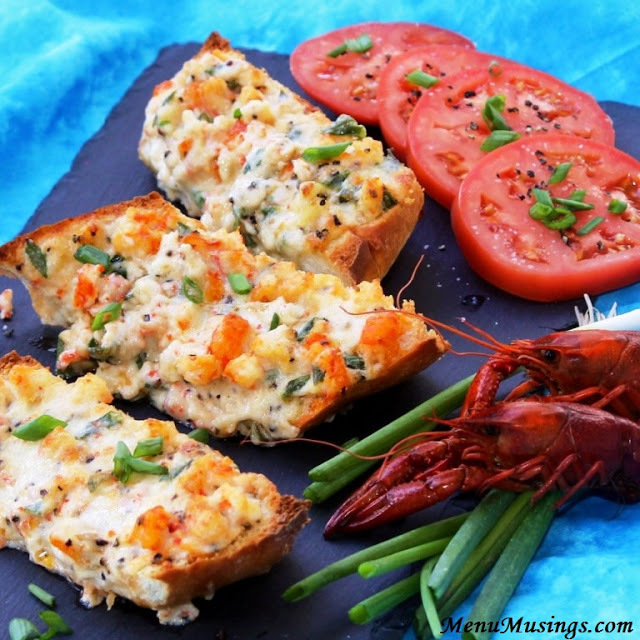 Cajun Crawfish Bread - it's that time of year, folks! Substitute crab meat or shrimp if you don't live in the Gulf South. 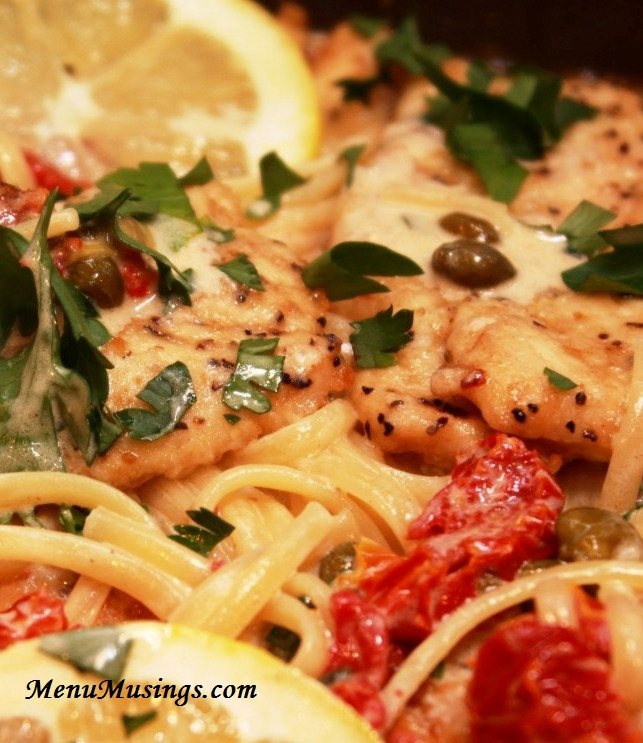 Creamy Chicken Piccata - an Italian classic with a bit of twist. 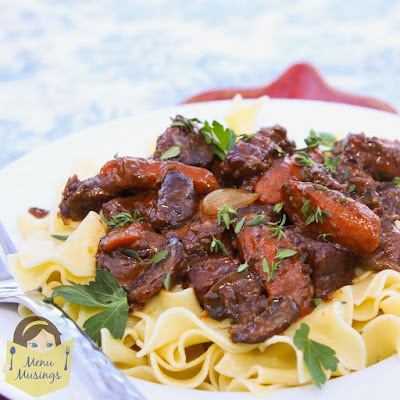 Boeuf Bourguignon (Beef Burgundy) - a French classic that will warm your whole family. · Make the spice rub. · Store in airtight container. 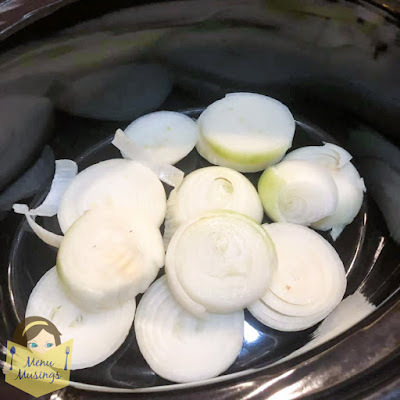 · Slice the onions into thick slices and line the bottom of the crock pot. 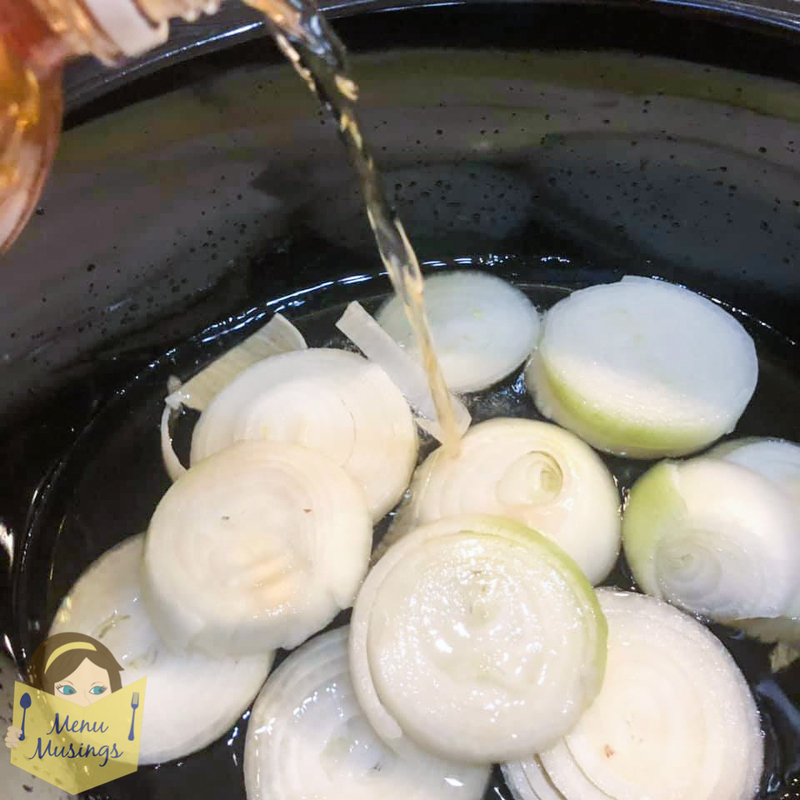 · Add apple cider/apple juice to cover the onions. 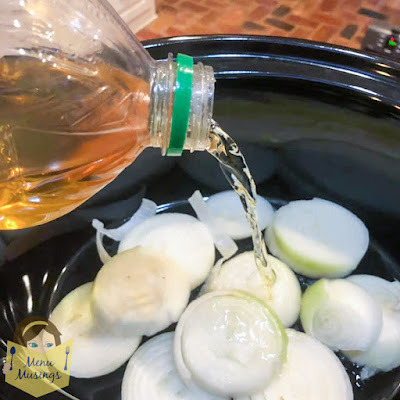 · Add a nice splash of ACV to the apple juice for acidity. 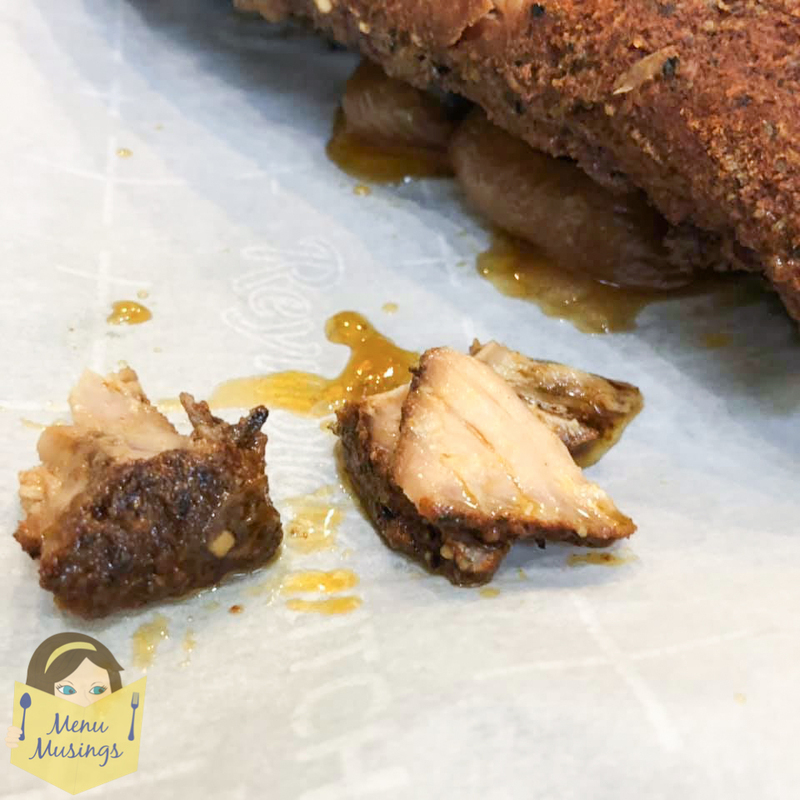 · Pull the membrane off of the ribs. Yuck. o Loosen the edge with a knife or something until you can grab it. o Grab it with a paper towel and rip it off. A paper towel works much better than trying to grab it with your fingers. Trust me. When you are lucky, it will come off in a sheet. It will still look sort of white underneath, but you will know that you got it off when a thin, filmy sheet of skin stuff comes off. · Spread the rub all over the entire rack – top and bottom. 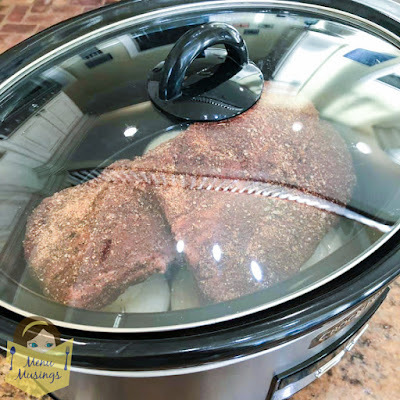 · You’ll probably need to cut the rack into two pieces to fit into the crockpot. · Close the lid tightly. 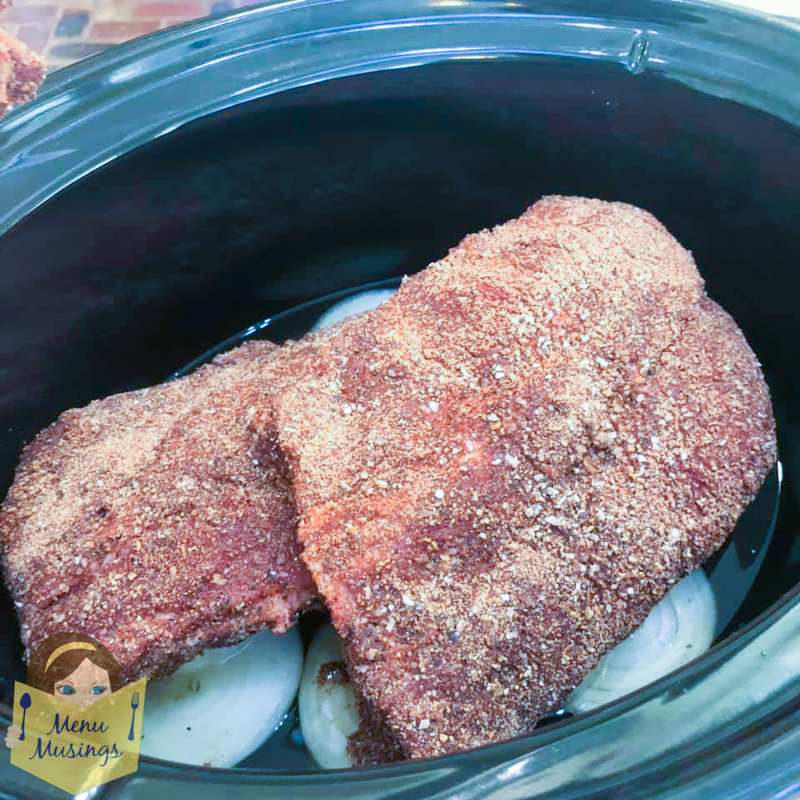 · Set the crockpot on LOW x 8 hours. 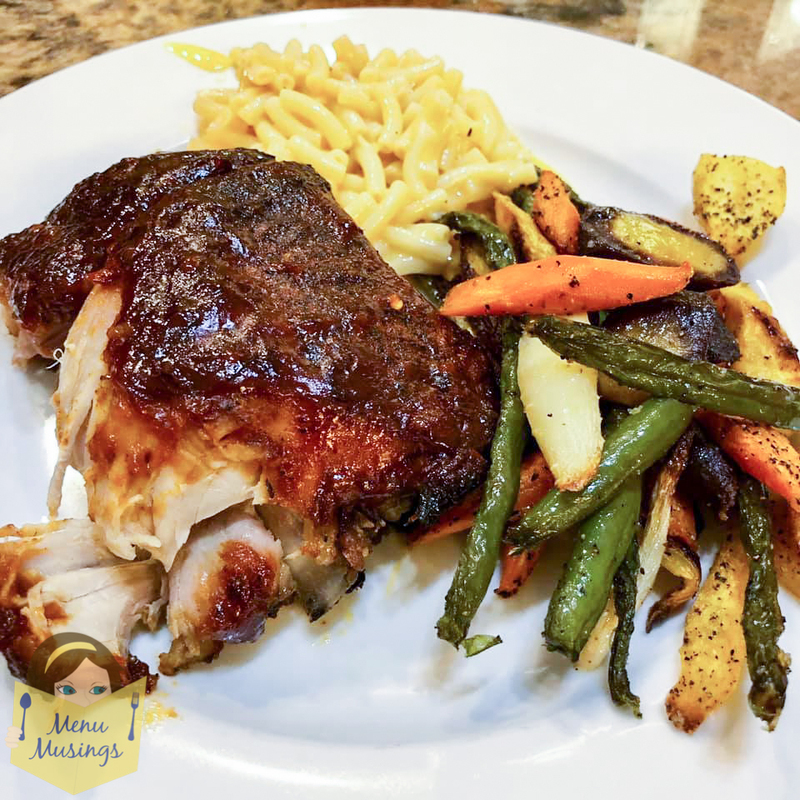 · Preheat oven to 200 degrees F.
· Make your BBQ sauce. o This can also be made ahead of time. It also freezes very well! 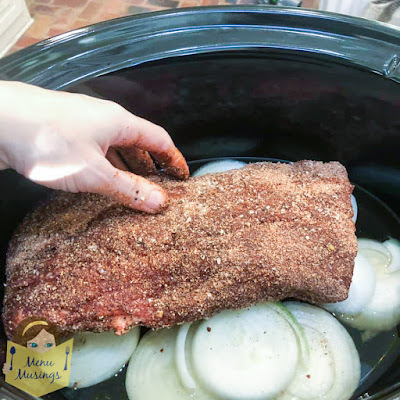 · Carefully take the ribs out of the crock pot and set them out onto a foil or parchment lined baking sheet. 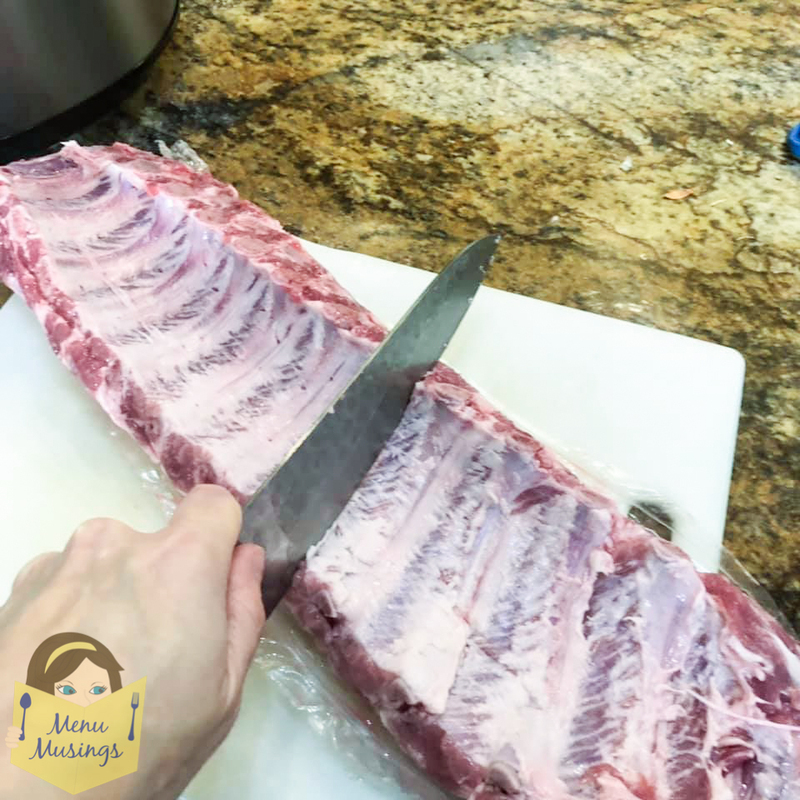 o You may need to use two spatulas (one on each side) to remove the ribs, as they will be SUPER tender at this point. 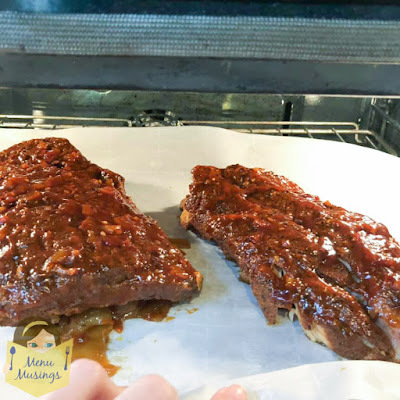 · Slather as much BBQ sauce as you want onto the ribs. 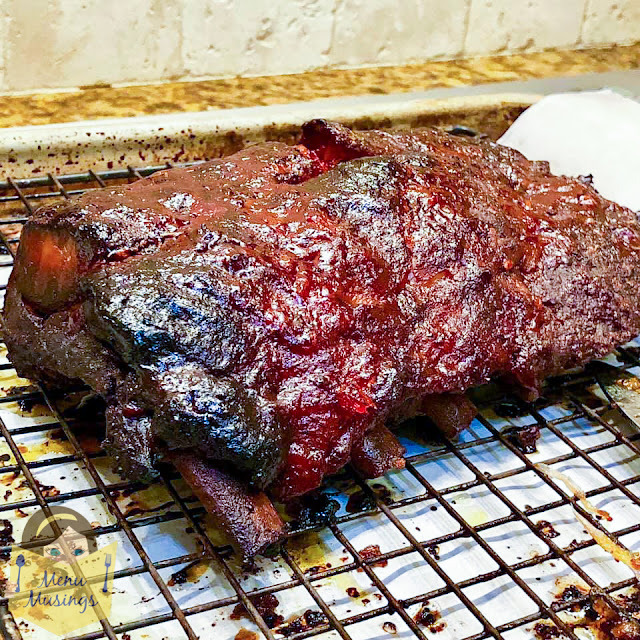 o Or turn the heat up to 400F and just leave them in a little while until bark has formed. · Gently cut apart into servings. 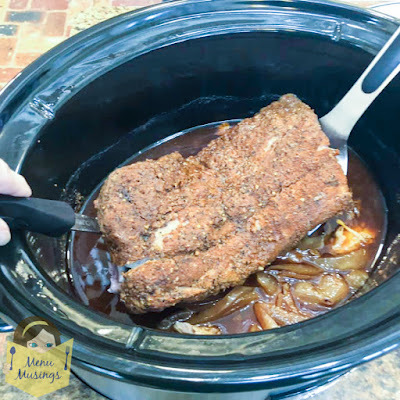 Thanks for sharing this recipe.I will try it soon.Keep sharing your recipe.